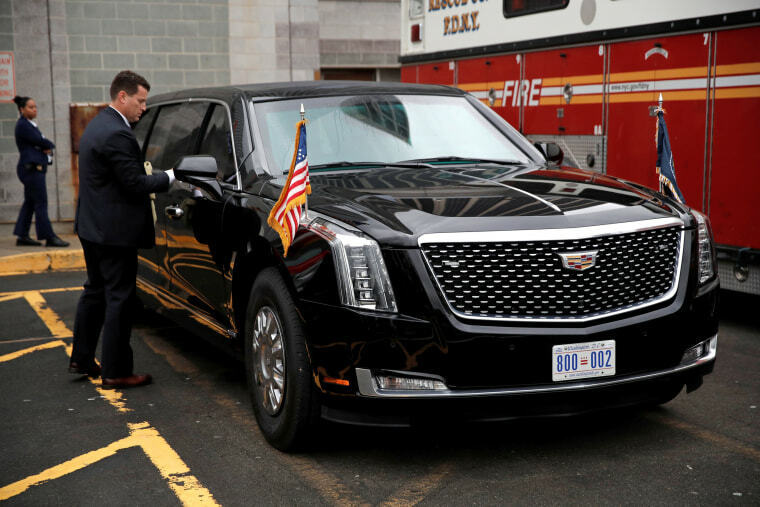 Trump's new Cadillac limo cost $1.5M, weighs 20,000 lbs, and comes equipped with a fridge full of the president's own blood type. As with the Secret Service, foreign security agencies are reluctant to discuss their methods of protecting heads of state on the move. But Russian President Vladimir Putin recently received an upgrade to the armored Mercedes-Benz limos he had long used, a specially developed Russian-made model. Chinese President Xi Jinping was spotted driving a new, Chinese-made limo during a trip to Africa last month. And Trump reportedly showed off the outgoing presidential limo to North Korean leader Kim Jong Un during their summit meeting in Singapore. Kim himself has had to settle for a decade-old, modified Mercedes Pullman Guard for his limousine.